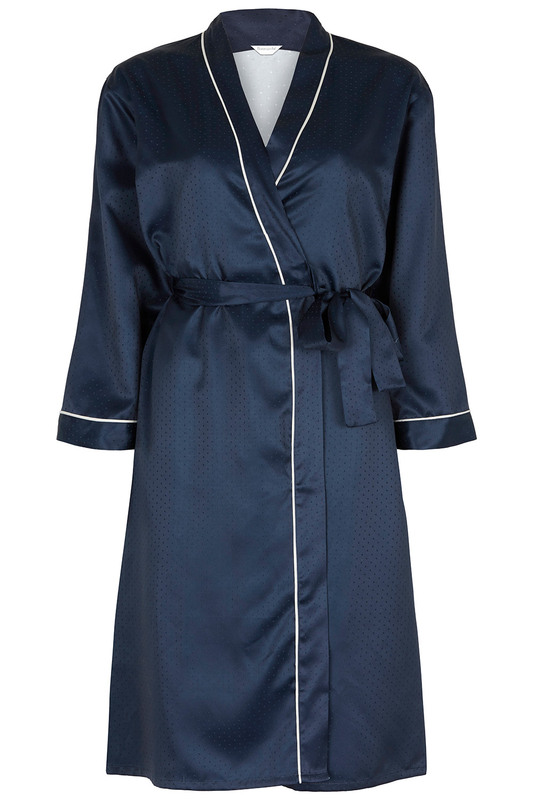 Elevate your nightwear with this web exclusive silky robe. Made from a satin fabric with a spot finish, it is lightly textured for a sumptuous feel against your skin. The kimono shape crosses over at the front and ties at the waist to create a flattering silhouette. Both the long sleeves and lapels are finished with contrasting cream piping, which pops against the versatile deep navy blue.